Mr. Amey is a managing director and portfolio manager in the London office. 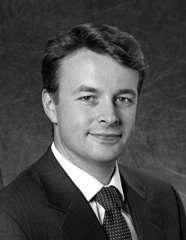 He is responsible for sterling portfolios and is head of PIMCO’s ESG (environmental, social and governance) strategies. He is also responsible for the European insurance (ex Germany) and the European LDI (liability-driven investing) portfolio management groups. Prior to joining PIMCO in 2003, he was head of U.K. fixed income at Rothschild Asset Management and after their merger, at Insight Investment. Prior to joining Rothschild in 1994, Mr. Amey spent two years tutoring in the Department of Economics at the University of Durham. He has 24 years of investment experience and holds undergraduate and master's degrees in corporate and international finance from the University of Durham. Mr. Amey is also a member of the U.K. Society of Investment Professionals.